Welcome to our pages for Motoring Offences. We specialise in motoring offences and can assist you at the Police Station or at Court 24/7 and at short notice. Our dedicated Crime Team can ensure you have representation at the Police Station, Magistrates Court, Crown Court or Appeal Court depending on your requirements. Please contact us about your motoring offence on 01536 276300 or use our online enquiry form. If a vehicle has been involved in a motoring offence or circumstances involving an accident, there is a legal obligation on the registered owner of the vehicle to give information relating to the alleged offender. 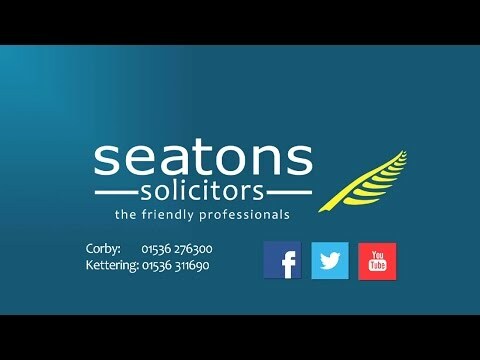 At Seatons, we can help advise you of your rights and responsibilities relating to this area of law, and provide clear, friendly legal assistance at low sensible fees. Under Section 172 of the Road Traffic Act 1988, when a requirement for the driver’s details is made, the registered keeper has a duty to provide the driver’s details or provide any information which may lead to the identification of the driver within 28 days of receiving the request. This request will come in the form of a Notice of Intended Prosecution and a Section 172 notice. • You must complete the form provided and sign the form confirming you were the driver. • You will then be contacted providing you with full details of the offence and it is then up to you to say whether you are guilty or not. Depending on the type offence and the state of your driving license (if it is a driving offence) will depend on whether you will be offered a fixed penalty notice, a Speed Awareness Course or whether you will have to attend court. • You must complete the form provided with as many details as you have of the driver to enable the Prosecuting Authority to contact them directly. • You should return the form with a covering letter explaining the reason why you are unable to identify the driver. If there are many possible drivers you should name these drivers but try to narrow down the possibilities. • Depending on the view the Prosecuting Authority has on the information provided, you may still be Prosecuted and find yourself in a position whereby you have to defend yourself at court and show that you acted with reasonable diligence to try and find out who was driving. There will be times when the registered owner of the vehicle will not be able to identify the individual driving at the time of the offence. This can be as a result of many reasons; more commonly, because there is more than one registered driver to the vehicle. In these instances, the law states that ‘reasonable diligence’ can be argued, where the registered owner must show that they were unable to identify the driver, despite reasonable steps having been made. There is not an exhaustive list of ‘reasonable steps’ to choose from and, in many cases, the Court will review each person’s actions on a case-by-case basis. As long as the person can show that they acted with ‘reasonable diligence’, the Court may allow the defence. The UK government announced new plans for drivers in England, Wales and Scotland who are caught using their mobile phone on the first instance to receive 6 penalty points on their driver’s licence. This also applies to tablet devices. The current law on repossessions is particularly vague with individuals not being provided with an appropriate legal basis to adequately prepare their case, should the circumstance ever arise. Many do not have a basic understanding of their legal rights in this area and this can often lead to finance companies and other high street lenders repossessing vehicles without following the prescribed steps. Ready For The Winter Weather? Are you ready for the winter weather? January is traditionally a time when the weather starts to get really told and roads become more treacherous to use. Criminal barristers have recently voted overwhelmingly in favour of mass walkouts in protest against government spending cuts to legal aid.